olfactory experience because of its expansive bowl and wide tapered mouth opening. with varying characteristics imbedded into the glass. though machine washing will not damage them in any way. 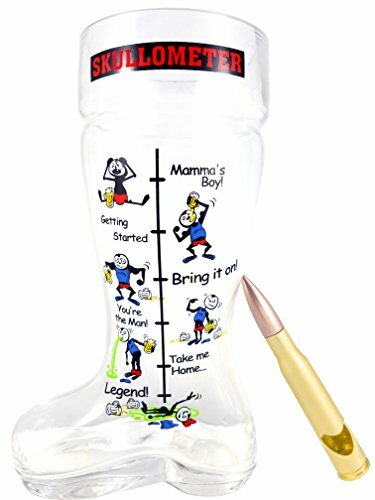 tumblers will make for a wonderful and classy gift to anyone special and/or important in your life. 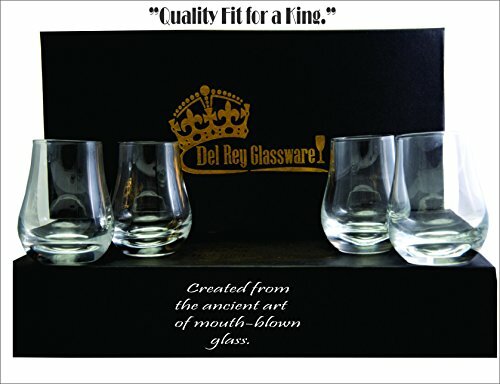 who strives to provide “Quality Fit for a King” glassware at exceptional prices. 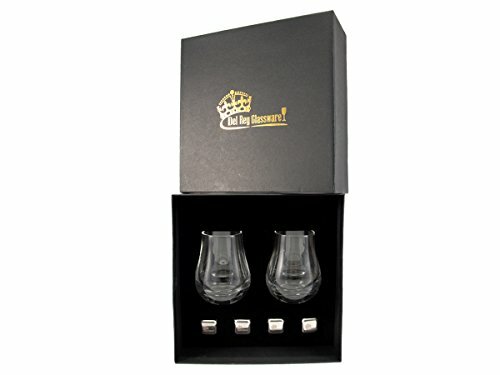 Please click on the images provided above and learn much more about this premium set of spirits nosing glasses. 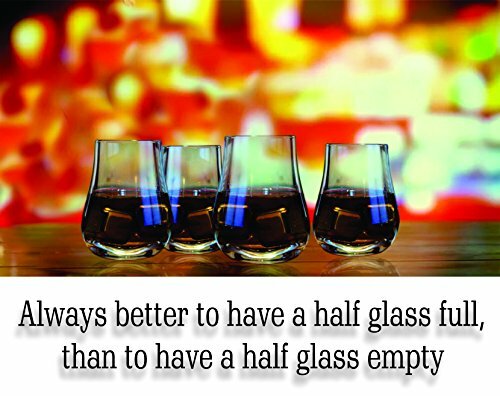 Make them a part of your bar glass collection today. Wide Bowl: Optimal for swirling your whiskey or any other spirits which allows you to visually assess and appreciate all the natural colors present in your spirit. Swirling also helps aerate the delicious bouquet of aromas in advance of the next phase of the appreciation experience-the nosing. 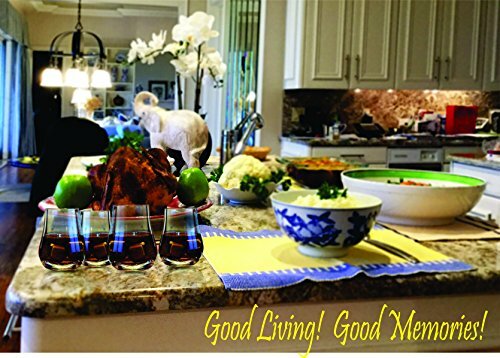 Maybe best of all, a wide bowl and heavy base is fabulous for guarding against the loss of any precious liquid caused by the inevitable spills after having consumed a skosh more than wisdom might advise. 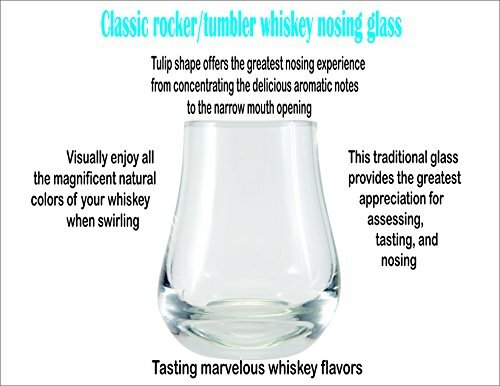 Tapper Mouth Opening: The tulip shape of the old-fashion round rocker/tumbler glass fabulously concentrates the sensual aromatic notes of your spirit to the narrow opening giving the greatest pleasure and appreciation from your nosing. 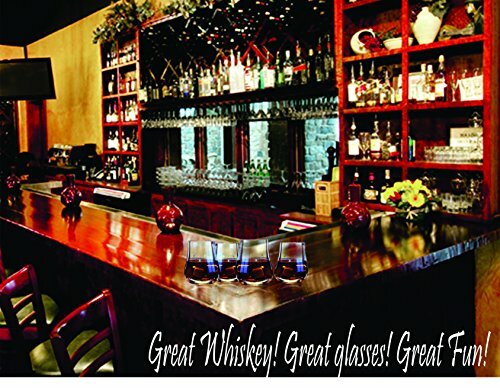 Hand-blown Glass: From the ancient art of about 50 B.C., hand-blown glass, also known as mouth-blown glass, means that each piece is individually created, truly making these one-of-a-kind with varying characteristics imbedded into the glass. 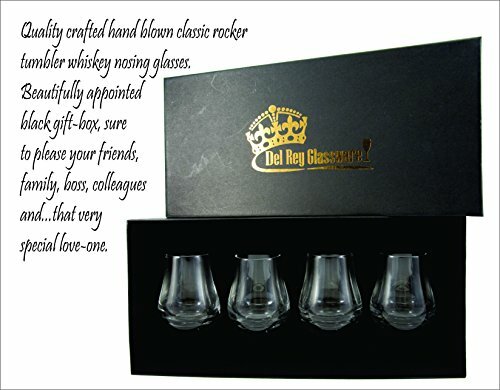 These tumbler glasses will be the hit of any party and make for interesting conversation within your social circles, as well as being a wonderful addition to your barware collection. 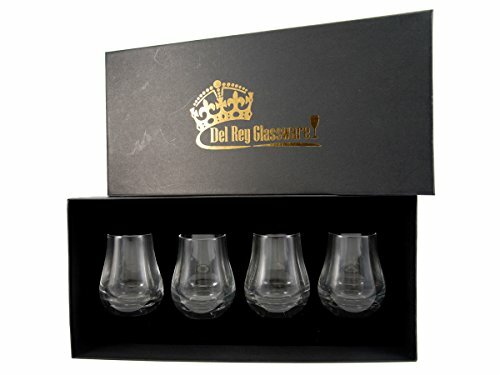 Premium Gift-box: This elegant and designer classic-black gift-box is sturdily constructed with a black velvet covered EVA material insert to securely store and protect your glasses when not being used.